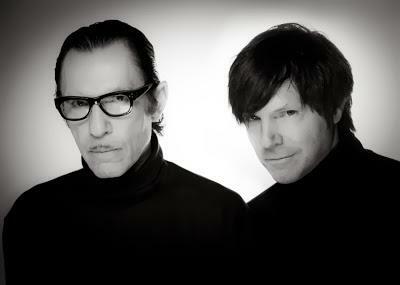 Legendary American duo Sparks are returning to the UK in a few weeks time for a set of very special shows. In October of 2012 the Mael brothers took their 'Two Hands, One Mouth' tour to Europe, receiving an ecstatic reaction from audiences and critics as Russell and Ron played favourites from their epic back catalog without the aid of computers or a live band. After bringing the show to the States earlier this year, Sparks return to these shores in November and December for 'The Revenge Of Two Hands, One Mouth' tour, where performances will include hits, rarities and material not played in recent times. Visiting London, Glasgow and Bristol for five shows, the tour coincides nicely with the release of their new 2CD compilation 'New Music For Amnesiacs: The Essential Collection', out on December 2. Made up of 40 tracks spanning four decades, it's a condensed version of the recent box set 'New Music For Amnesiacs: The Ultimate Collection', showcasing the evolution of the group's music over the years, from glam to power pop, through electro to chamber sounds. Dominic Valvona has recently reviewed the boxset on the excellent Monolith Cocktail site, a write-up which you can read HERE.